S.T.A.L.K.E.R. 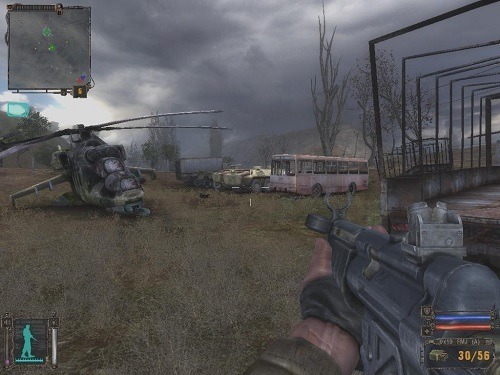 : Shadow of Chernobyl is a FPS survival horror game developed by GSC Game World. 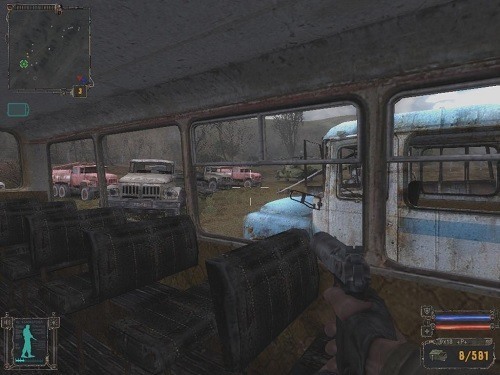 The game is available for PC and was released in 2007, it is the first game in the S.T.A.L.K.E.R. series. The game is set in an alternate reality set around the Chernobyl Nuclear Power Plant. This area is referred to as ‘The Zone’ and offers a lengthy storyline with plenty of side missions, player choice, unique anomalies, mutants, several endings and various factions. In the game players take control of a man known as a ‘Stalker’ who is suffering from memory loss. These Stalkers explore The Zone in the hope of finding illegal items to bring outside The Zone for study, money and fame. The game offers a large open world that players can move through as they please either following the main quest (to restore your memory) or completing side quests to gain favour with one of the game factions. S.T.A.L.K.E.R. has a variety of environments including wilderness, settlements, military bases and plenty of abandoned buildings to explore and scavenge. S.T.A.L.K.E.R. is mostly a standard FPS experience but does allow some character customisation through the artifact system that allows players to gain statistics such as increased carry weight, radiation resistance, healing and many other useful stats. As the game takes place in a radiation zone players must be wary of the pockets of radiation that are spread throughout the world. Large amounts of radiation exposure will quickly lead to the player’s death. In addition to radiation players must also manage their hunger levels to give the game an added sense of realism. The most notable feature in S.T.A.L.K.E.R. is the realistic AI that goes about its business even when you aren’t around which makes for a very realistic game environment. You’ll see groups of factions randomly go out on patrol, mutant attacks and full out faction wars as you explore the game (makes for some great looting). A realistic survival horror experience. Strong and unique storyline (multiple endings included). Collect artifacts to boost your stats. AI that will immerse you in the game world.